Transcending Fear : Becoming Limitless ! 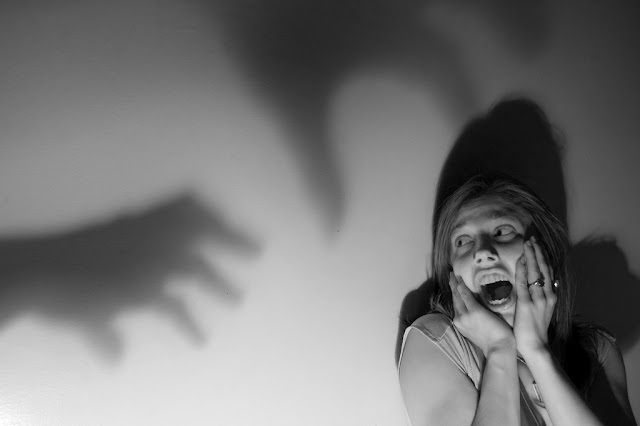 Fear grips us in strange ways and keeps us locked in a dense, lower vibrational state ... like everything else, this also changes when we begin to realize that our fears stem from our own created illusions of the egoic mind. When we stop reacting to the contents of our own rational thinking mind which keeps us in a perpetual thinking state, we break free from the illusions of our own creation, and start being more accepting of what comes forth in the here and now, without trying to change anything about it. Accepting the lessons life has to offer brings a great deal of freedom and we realize our life purpose on Earth school which has to do with furthering our own spiritual growth while being a guiding beacon of light allowing others to be the best version of themselves. Judging another path is the way of the ego which always seeks to be right. Labels such as Lightworker, Empath, Indigo, Starseed may help us identify ourselves in some way with respect to our origins and past lives, but should not create a false sense of superiority over others who are yet to see the light and awaken to their true spiritual nature and use the gifts they were born with. Allowing each others journeys to unfold as they have to is the best we can do at times ... without the need to control others choices and deciding whats best for them. By accepting the darkness for what it is and letting it go we heal it ... by fighting it, we create more of it. The lessons will be repeated until they have been mastered and transcended .... All we have to do is be the light .... follow our path ... love all unconditionally foregoing the need to judge anyone or anything. Recognize that love is what has the power to transform ... and our own inner transformation is what brings about a positive change into the world. We are way more powerful when we are awake and united as one consciousness as opposed to being divided by our false thoughts and belief systems. The world is changing and it is changing with each of us making better choices and being mindful of what allow into our sacred space. Once you become FEARLESS, you become LIMITLESS! The only limits that hold you from progressing forward are the ones you have placed upon yourself, from childhood programming of parents, school, and society as a whole. You have been programmed how to behave, what you can and cannot say, how you should dress, look, speak. You have been programmed that if you step outside of that box, you will be “labeled” different, freakish, not normal, crazy! It is all just that, A PROGRAM to keep you locked into a BOX! The very minute you decide step outside of that box you are free! You no longer care what anyone thinks and you no longer need the approval of anyone else. You have begun to step into the authentic self you are and you will present that self to the world fearlessly and unapologetically. You did not come here to experience this life with limitations, you came here to experience all of it in its glory, its messiness, its ugliness and its most beautiful and happiest, peacefulness. You are a human having a soul experience. You chose to come here to experience emotions, ALL of them. In higher realms in the Light body there is but only one emotion to experience and that is of unconditional love. In order for your soul to evolve and progress to higher levels, this could only occur through karmic lessons, patterns, painful life lessons and challenges. Through these experiences is where you grow, and your soul evolves. Only in and through the most painful experiences does a soul learn compassion, self love and unconditional love. Through this comes a yearning and a calling of how to show to others this way and to help others out of their own pain and move through the other side of it with a renewed sense of self perseverance and strength you never knew possible. We are all here walking each other home. We are one! There is no division, that is also a program. We are all mirrors to one another for the purpose of lessons. You have learned what you do to another, you do the same to yourself. This is karma. For thousands of years this planet has been kept in a prison of a very low vibration and a very dense 3D reality for many different reasons, but the main one was to keep humans from releasing karmic patterns and stay on the wheel of reincarnation for the purpose of control and fear to provide a service. Through manipulation of DNA and evolution we have now progressed to this level. The level of truth and knowing. Only 3% of our DNA was activated at that time, just enough to survive, but on an extremely limited basis. The other 97% spliced to remain dormant. This is how control has been maintained for 26,000 years, UNTIL NOW! Now with the realigning of the photon belt, the milky way, the planets, the extreme solar flare activity and the lunar events that have taken place starting in 2011, our total DNA is being reactivated at 100% capacity. When this happens it begins firing up each chakra energy center in the body one by one until all are firing in a wide spinning circle in unison with one another. You then reach a higher connection to your higher consciousness and experience the “Dark Night of the Soul.” Your ego falls away through this process, and your kundalini energy that has been coiled at the base of your spine begins to rise through each one of your chakra centers completing your 12 strands of DNA. At this time you are fully activated! You are FEARLESS and you are limitless energy flowing from Divine Source to the core of mother earth. You become a crystalline light body and the embodiment of that Light frequency of unconditional love. The more you allow this energy to move through you, the easier it is for you to integrate with it. As you do, your Light shines so brightly that you will show others out of the Darkness. This is why you came here now, in this lifetime. The number sequences, the symbols, the downloads of information, the increase in vibrational frequency, your gifts expanding is all happening right on course. You trained and prepared yourself for this many lifetimes over. You are not ill equipped. Everything you need to know lies within attached to your higher consciousness and Divine Source. Jesus was an example of this to show us the way and he did, and the returning of Jesus IS the embodiment of Christ Consciousness within YOURSELF! This is the returning of Jesus through each and everyone one of us who completes this process. As each one does the Divine template of Earth returns lifted from the 3D density of control and fear and raises to 5D and higher realms of consciousness UNIFIED AT THE COLLECTIVE LEVEL. WHEN YOU BECOME FEARLESS, YOU BECOME LIMITLESS. You are remembering this universal truth now. You are remembering the Laws of the Universe. You are remembering you are the co-creator of your present and future reality. You are remembering that your thoughts, words and actions are what creates your reality. You are remembering that in order for you to continue progressing you must release the old, lower vibrational emotions to make room for the new higher vibrational frequencies that are coming into your body now. You are remembering that your health is mind, body and spirit connected and your total body health remains in your emotional well-being being attached at each chakra level. You are remembering from a specific triggering event that you must begin seeking the truth for any of this process to begin to unfold. Through this, you are remembering that you need to keep yourself aware of current global events, but you do not allow them to control or take over your emotions. You don’t feed any into any negative, worldly events, because if you do you are feeding that energy into it to propel it further. You are remembering to only keep your vibration high, and to remain positive even in the face of adversity for this is what will create a positive outcome for your reality to rapidly manifest. Through this knowing you will become FEARLESS and you will become LIMITLESS! For when you become LIMITLESS energy you flow with the Universe and the Universe flows with you. Synchronicity is abundant and will be a daily part of your life leaving little bread crumbs for you to follow on your Divine path. You have full access to the higher realms of consciousness and inter-dimensional reality as you are an inter-dimensional being. Your Spirit Guides, Ascended Masters, Archangels and Guardian Angels are here to assist you through this process. Call on them and they are here in the blink of your eye. Love, light & blessings on your continued journey. Ways to be a Spiritual Warrior ! Evolution by Choice, Not Chance !